According to a 2015 study by the Department of Energy entitled Adoption of Light-Emitting Diodes in Common Lighting Applications, LEDs accounted for 3.1 million, or 2%, of all high and low bay installations as of 2014, but that this represented a nearly eight-fold increase from 2012 levels. The study further revealed that if all of the nation’s estimated 139 million high and low bay fixtures were upgraded from T8/T5/T12 fluorescent and metal halide/high pressure sodium to LED technology overnight, it would result in immediate energy savings of nearly 1,200 trillion BTUs (roughly equivalent to the energy consumed by the entire states of Mississippi or Kansas!) and would deliver annual energy cost savings of nearly $12 billion. With their outstanding efficiency, high lumen output, long life, superior lumen maintenance, and proven durability in a broad range of high-ceiling venues – from big-box retail stores, warehouses, and manufacturing facilities to industrial settings, gymnasiums, and natatoriums – LEDs are increasingly demonstrating their unique ability to successfully meet the needs of the nation’s most demanding high bay applications. The DOE study confirms that LED high bays are among the most significant energy-saving opportunities available in today’s professional lighting market. 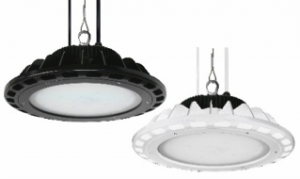 So don’t wait to upgrade your high-ceiling applications with Litetronics’ powerful new LED High Bay fixtures and get on the path to significant energy and cost savings today! To learn more about the innovative new Litetronics® LED Retrofit products or Litetronics’ many other advanced-design, energy-saving lighting solutions, visit www.litetronics.com, contact customer service at (800) 860-3392 (toll free) or (708) 389-8000, or e-mail customerservice@litetronics.com.